What is Rocky Mountain Hai? Rocky Mountain Hai is the paradigm shift, based on one’s Personal Spirit Quest promoting partnership with other seeks, not based on personalities, dogma or authority. Rocky Mountain Hai is about Hai, about LIFE, living FULLY, WHOLLY, which is HOLY. We are about peering through the HOLE in our veils, revealing the hidden realm, WHOLE with possibilities. Rocky Mountain Hai is not about any one denomination in Judaism, or any one approach to practicing Judaism. 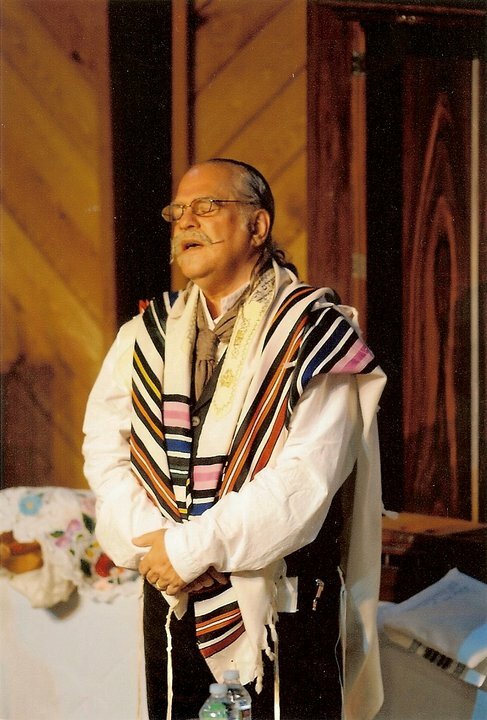 Without the constraints of a formal movement within Judaism, we are able to meet the divine, in many personal ways. Rocky Mountain Hai is a pathway, crossing the boundaries of denominations and spiritual practices. Rocky Mountain Hai is the ‘pathfinder’ to the inner path, seeking personal, balanced spirit practice in facing the challenges and joys of life. These practices are fluid. Because in life, SHIFT happens. Rocky Mountain Hai is your sail flowing across the waves tacking along the spirit winds of life. Our path is a path of willingness, willingness to put down armor and be open to self, to inner strength and to the challenges that are the condiments of life. Who is Rocky Mountain Hai for? Rocky Mountain Hai is not for everyone. We are for seekers, those who are M.O.T. (Members of the Tribe) and for those who are F.O.T. (Friends of the Tribe). It is a place for people who are able to question the paradigm, who have the courage to lower the veils of judgment, who are willing to let go in order to grasp the Mystery. RMH is for people who wish to see life’s happenings as Holy Happenings.